Linux doesnâ€™t alway’s have both, but recently it does carry its own class of design and polish. This is especially true for systems like Ubuntu where the developers are going out of their way to create the â€œnext desktopâ€. Letâ€™s say that you are a Windows user because all of your programs work with it, but you like how the new release of Ubuntu,Â 11.04 â€œNatty Narwhalâ€ looks. What can you do about that? May I introduce to you the Ubuntu Skin Pack. This handy program will install (and even download other necessary components) in order to make your desktop look and operate more like Ubuntu. Although it is not perfect (show me some kind of transformation pack that is! ), it does do a great job of recreating the experience and theme. The best way for you to enjoy it is to install the pack! Please note that this works only in Windows 7. First off, you should download the setup file to a place where you can easily find it. Once the download completes, head on over to that folder and double-click the setup file to launch it. The setup itself is easy and doesnâ€™t really have any hidden items with it. Just click through it, making sure that everything is selected in order to get the full experience. While the setup is doing its thing, itâ€™ll eventually poke you about installing a component that it needs for smooth operation. Go ahead and click yes so that itâ€™ll automatically install and download that component for you as well. When the entire setup completes, go ahead and restart your machine. In case you use a password on your account, or have multiple accounts on your machine, you may notice some changes. At the bottom, â€œWindows 7â€³ is now replaced with â€œUbuntu 11.04â€³. The background should have also changed, but in my installation that did not happen. Not sure what went wrong, but thereâ€™s enough hacks out on the Internet to be able to change the login backgroundÂ if you want to. Once you get to your desktop, youâ€™ll see that it looks very similar to the Ubuntu desktop. The Ubuntu icon is in the top-left corner, which is now your new place to launch the re-themed start menu. The dock on the left side (created by a program called rain meter also recreates a nice visual theme of the actual Unity dock. Donâ€™t try to do a lot of things with it that are featured in unity, because there isnâ€™t very much you can do to mess around with it, aside from poking around in the configuration file. Speaking of which, Rainmeter may bug you about a misplaced configuration file. Just follow its instructions and it should go away. Thereâ€™s not a whole lot else to it. You can have virtual desktops thanks to VirtualWin. Many windows should fit right in with the theme, as long as theyâ€™re not those notoriously famous programs that decide to create their own complete theme that stick out from the rest. For everything else, Iâ€™ll let the screenshots do the talking. Overall, the Ubuntu Skin Pack is a great way to get that Ubuntu feel when using Windows. Although itâ€™s not completely free of kinks, I hope that the developer can continue working on it so that itâ€™ll feel like an A+ solid product. That being said, itâ€™s already a great product as it is. Most themes or transformation packs rarely come close to this. What do you think about the idea of the Ubuntu Skin Pack? 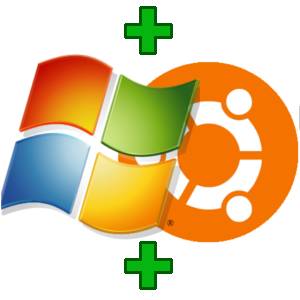 If youâ€™re an Ubuntu-loving Windows user, will you be installing this on your machine? What other packs could you suggest?